NYU# 05-054 Florence: Students eating local food - 3 Students grabbing a panini to go at a historic shop in downtown Florence. 4 Students have lunch at a café in Piazza Republica. 6 Non-NYU (model released) students enjoy Piazzale Michelangelo café overlooking Florence. 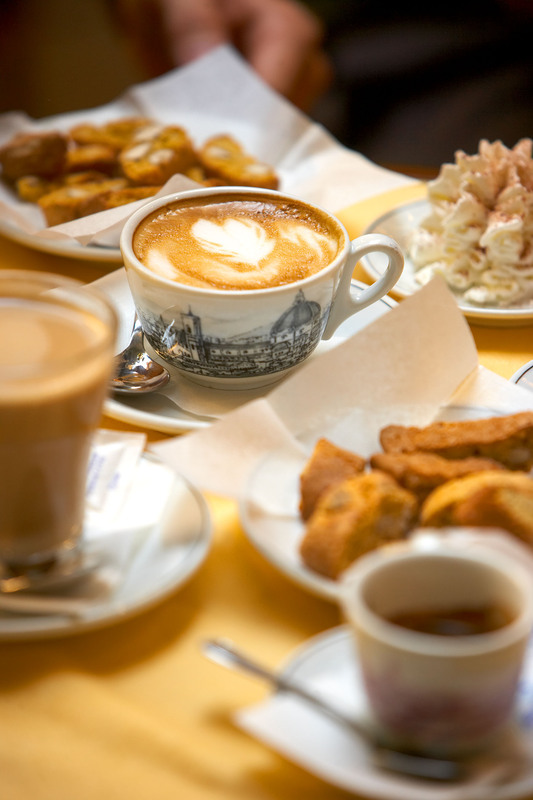 4 Students visit a café near Piazza Signoria.